Worksheet on Congruence of triangle is based on congruent triangle. It is based on some axioms like SAS,SSS etc. (a)	BC = EF (b) AC = DE (c) BC = DE (d) AC = EF. 4. Δ ABC is congruent to Δ PQR . If AB = 5cm, &ang B = 400 and ∠ A = 800 , then which of the following is true ? 7. In the given figure , P is a point in the interior of ∠ AOB. If PL is perpendicular to OA and PM is perpendicular to OB such that PL = PM , show that OP is the bisector of ∠ AOB. 8. X and y are two parallel lines intersected by another pair of parallel lines p and q such that line q makes angle 60 with line x . Show that∆ ABC is congruent to Δ CDA. 9. In the given figure , ∠ BAD = 300 , AC = AE , AB = AD. Show that side BC = DE , if ∠ EAC = 300. 10. It is given that Δ ABC is congruent to Δ RPQ . Is it true to say that BC = QR ? Why ? 11. If Δ PQR is congruent to Δ EDF , then is it true to say that PR = EF ? Give reason for your answer. 12. 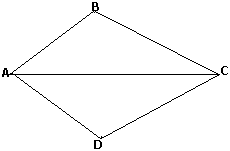 Angles A , B and C of a triangle ABC are equal to each other . Prove that Δ ABC is equilateral. 13. AD , BE and CF , the altitudes of triangle ABC are equal . Prove that ABC is an equilateral triangle.